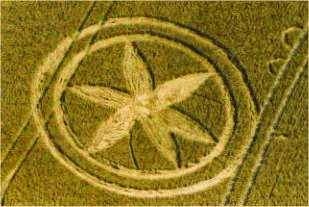 Most people of today are convinced that an anonymous group of people, equipped with wooden planks and string, are responsible for the crop circle phenomenon; but can all of the remarkable patterns really be explained away that easily, or are we dealing with a genuine mystery here? And if this is the case, what is it trying to tell us? 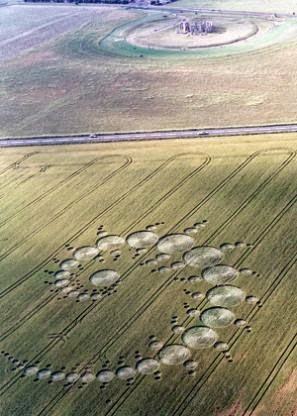 For hundreds of years, strange formations have been reported in the crop fields of southern Britain. These patterns have often appeared within very short periods of time, mostly over night, but in some documented cases lesser than an hour, in broad daylight. Many times mysterious white orbs have been seen in the vicinity, and people have also experienced malfunctioning of electric equipment upon entering the creations. 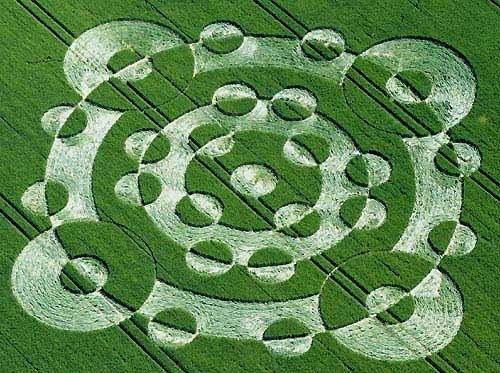 Explanations for them have varied, ranging from bizarre weather to the Devil himself; however, due to an asinine confession and chequebook journalism the crop circle phenomenon as a whole was written off as a man-made hoax in the early 90's. Until this day, the mainstream maintains this stance. Obviously many of the circles are man-made and usually they're easy to spot due to their limited size and rough execution, although there are those of a more refined character. Nonetheless some of them display attributes to which no reasonable explanation has ever been given, namely the following two: elongated nodes (thus allowing them to be bent without being damaged) and blown nodes. The characteristics have been thoroughly documented. During the 90's notable biophysicist Dr. W C. Levengood conducted a series of in depth investigations of the phenomenon, in which he compared stalks from circles to control samples outside of them. Not only did the nodes stand out to the naked eye, but microscopic analysis further revealed that the crystalline structure of the circle plants showed significant changes in comparison to the control samples. It should be mentioned that the skeptical community wants to blame the added length on phototropism and the blown ones on the heat of the sun [sic]. It's true that phototropism has an effect on the plants in question, but it's trifling at best, and doesn't account for the great changes that some crop show. With the help of microscopes another oddity has been found. 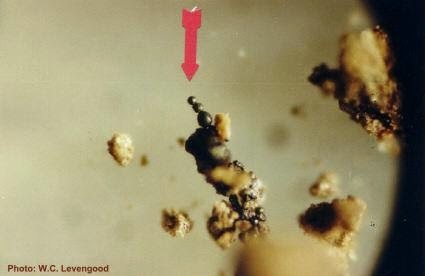 Soil samples from certain circles have revealed tiny magnetized spheres. They consist of pure iron and their quality indicates that a magnetic field was present when they came to existence. Control samples from outside the formations did not feature any spheres. These are 10-40 micron diameter, the photomicrograph shows them magnified x100. Before we continue let me present a few of the most astounding designs to date. Please remember that all of these were created during night time, within a time frame of approximately 5 hours and not seldom during rainfall. 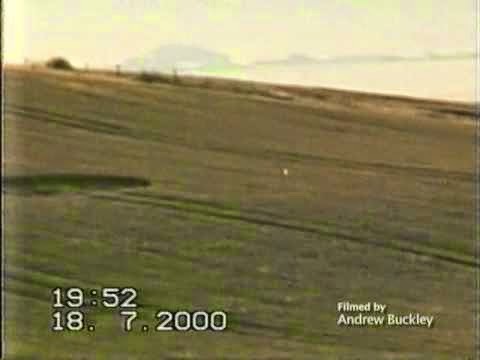 Milk Hill, Wiltshire, 12th of August, 2001.. The design features 409 circles and was almost 240 meter in length. Avebury Trusloe, 22nd July, 2000. The complexity is striking. West Overton, 21 May 2003. 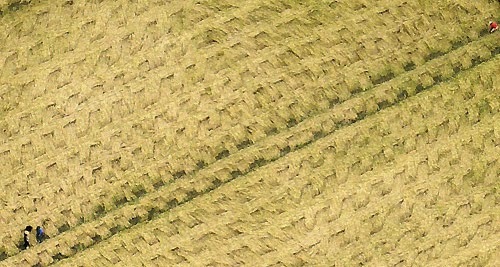 Only very slightly were the stems on this field bent, which caused it to be harder to spot from above. Because of the negligible harm inflicted, a speedy recovery was to follow. As the bent among the outlines differed, the motif gave an impression of fading away; combined with the wind it must have been an exquisite visual experience. 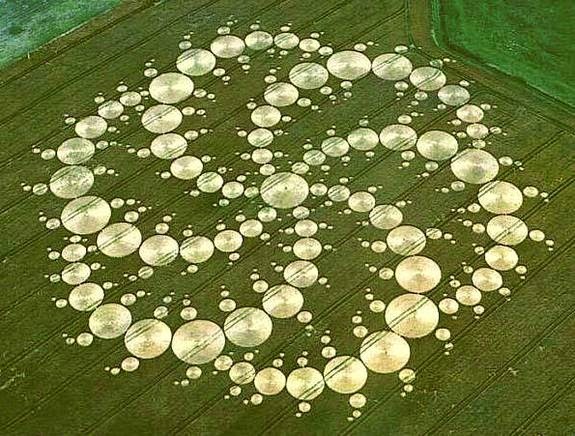 Even though it's perfectly clear that a human touch hasn't been involved in the creation of some of the circles, it shall not be forgotten that some of us are capable of creating quite complex patterns even during night time. This has been proven several times and skeptics frequently use it as an argument; if humans can do it, why look for other explanations? Aside from the points previously mentioned there are other limitations to our capabilities that are often overlooked. When first watching this video I was very impressed and even started questioning my previous conclusions about the phenomenon. It sure is convincing in it's presentation. After looking at it a few more times it became clear that even though it proclaims to solve the enigma it leaves a lot of questions unanswered. Eastfield, Alton Barnes, Wiltshire, 14th July, 2009. 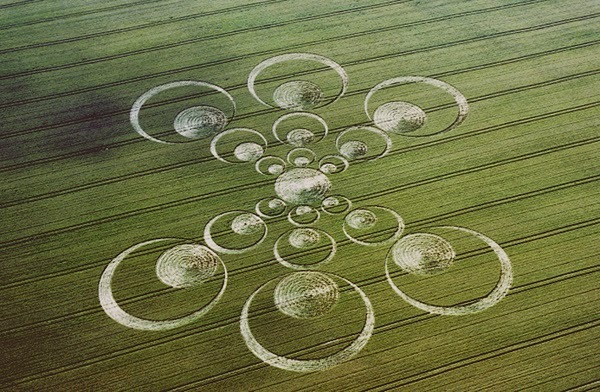 Yet another pristine effect could be enjoyed through this crop circle. Sadly the field was harvested a few hours after its discovery. It should also be mentioned that they don't show any close ups of the crop. Most likely this was intentional. 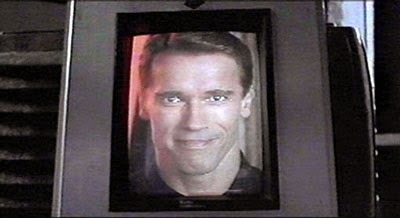 They also throw in some horrendously bad man-made circles with 'authentic' ones during the first half of the clip. National Geographic has also been involved in a similar coup of deceit. You can see it being debunked here and here. I pointed out that the Stonehenge Julia Set had evidently appeared in broad daylight, in a span of perhaps 45 minutes. RD: "That isn't true," Rod insisted. "It was made the previous night, by three people, in about two and three-quarters hours, starting around 2:45 am (on Sunday morning, July 7). It was there all that day. When that doctor flew over, he just didn't see it the first time. That happens a lot. His report was wrong. He just didn't see it." ML: "Did the group that made the Stonehenge Julia Set also make the Triple Julia?" ML: "What evidence could they show for that?" I asked. RD: "Well, there is a diagram of the formation, which I've seen. That's about all." ML: "If they came forward and made another one just like the Stonehenge Julia Set, what would it really prove?" Rod asked me. "Would it convince the believers that there are no real circles?" Is a comment even necessary? The phenomenon was once actually considered a genuine mystery by the mainstream until two elderly gentlemen by the names of Doug and Dave came along and claimed responsibility for it in 1991. The media quickly bought their story and since then ... Well, not much has changed. As a matter of fact they actually agreed to create one for everybody to see, strangely enough it didn't get much attention compared to their narrative. 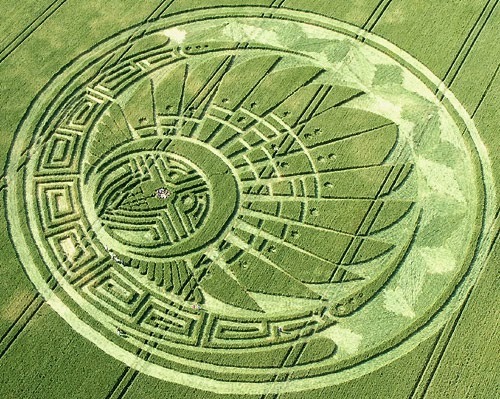 During broad day light almost next to one of Britain's best guarded monuments, a spectacular crop circle arose within a time period of roughly 45 minutes. This was in 1996 and the monument was of course Stonehenge. Not only is a busy highway running right between them but the air space above is heavily trafficked, it has therefore been possible to nail down the time frame to a surprisingly exact number of minutes. “A car drew out and she managed to pull into the empty space and got out and joined the crowd of other people who were also watching what was happening. "There was an apparition, an isolated mist over it and as the circle was getting bigger the mist was rising above the circle. 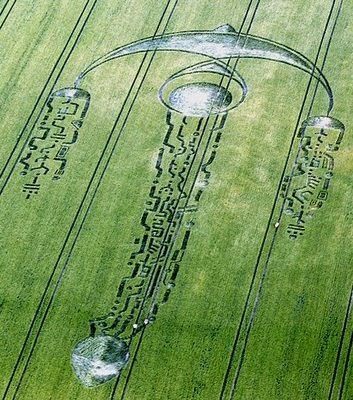 As the mist rose it got bigger and corn circle got bigger." For the experienced researcher this may contradict various other witness testimonies in which the circles form in a matter of seconds, and rather by light phenomenon than mist. 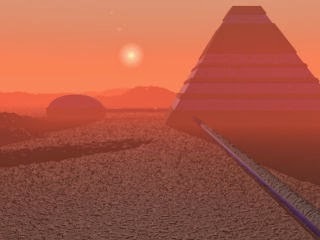 For example reports of light beams have been observed just before the appearance of new formations, the most common oddity however, is the sphere of light. There have been many reports and even video recordings of them flying nearby freshly made ones. Only in the infamous Oliver's Castle-video** they're actually involved in creating one, in the rest of the footage acquired they simply move around. 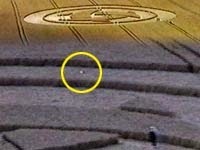 White orbs checking out freshly made crop circles. For a video snippet of one in action, click here. 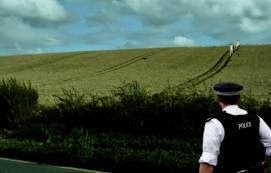 Another bizarre case involves an off duty police officer who happened to see three persons on a field while driving home from work on the 6th of July 2009. He stopped his car and started to walk towards them. As he got closer he noticed that they all were of unusual height, at least 185 cm, and all with long blonde hair. They wore clothing resembling white coveralls. An artist's rendering of what went down on the field. There one second, gone the other; one has to wonder if the uniform had anything to with it. Notice how the policeman got the impression that there was some kind of electric energy present. This is something that has been reported in many other instances as well; in fact it's quite common that electrical equipment behaves strange inside circles. Cell phones and video cameras often shut down and refuse to resume, batteries drain in moments, compasses spin around and the instruments in helicopters and air planes are affected in such a high degree that pilots often refuse to fly right over a formation. A technical analysis of the electromagnetic qualities and more can be found here..
Could the magnetic fields account for the irregular behavior of electric devices used in a circle? Surely a linkage must be considered. While the identity of the makers remains a mystery, the content of their creations is oftentimes clear. 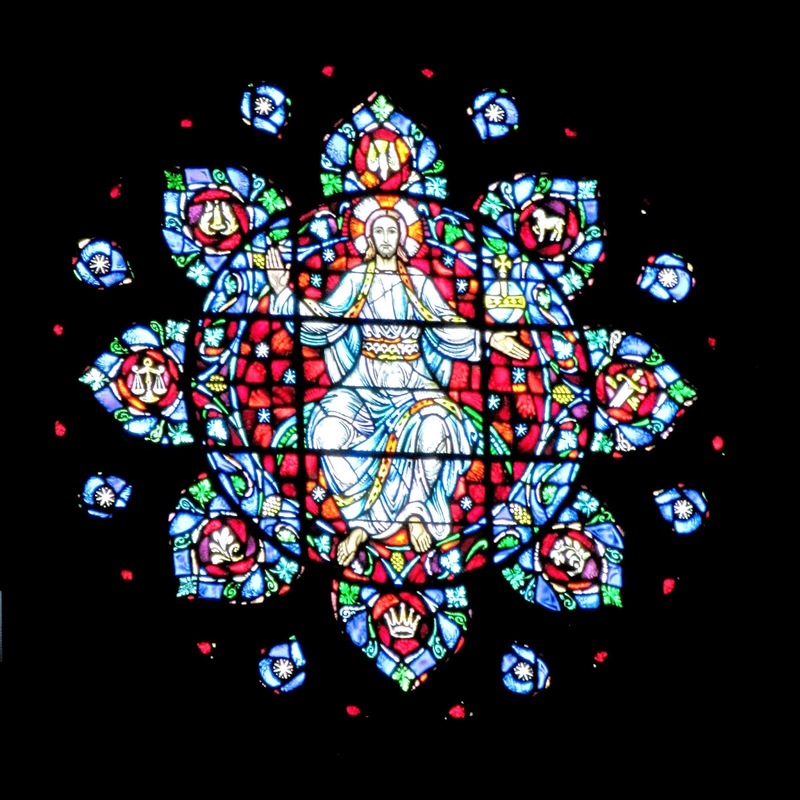 Mathematical principles and sacred geometry intermingled with cultural symbolism are dominant themes. 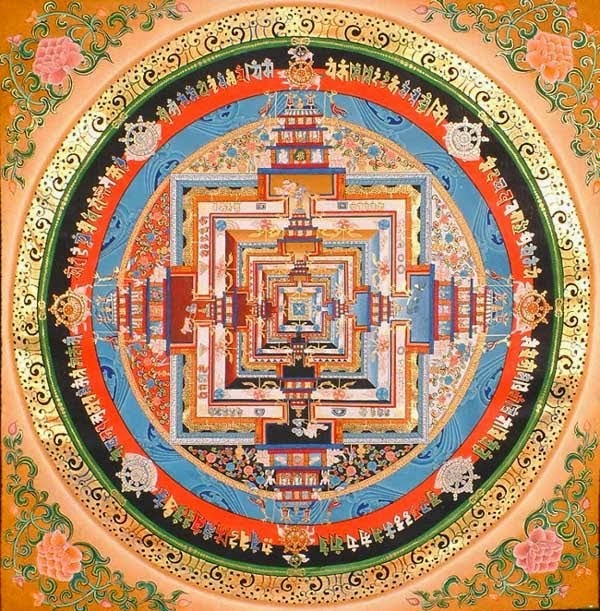 From pi and the golden ratio to Mayan art and DNA-helixes - in other words: cosmic beauty. More often than not (if not always) the designs encompass a spiritual significance, evident through the presence of a square and circle – and the ratios between them. Lurkley Hill, East Kennett, 25th of June, 2005. The diagram is one of many from researcher Bert Janssen, check out his brilliant breakdown of this pattern in regards to squaring the O.
Ogbourne, St George, Wiltshire, 15th of June, 2003. 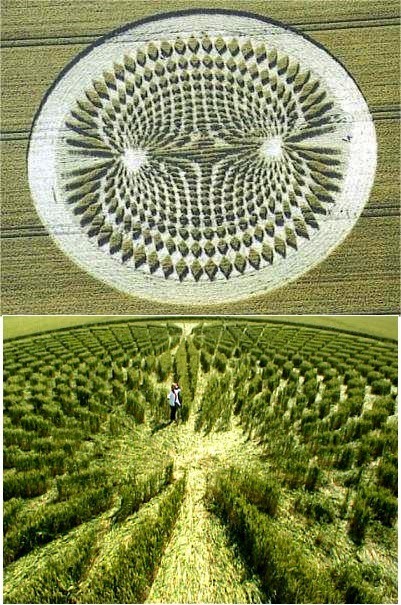 A huge design with 3d-effects due to the different amount of bending inflicted on the crop. 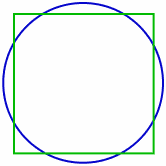 There exists an ancient mathematical problem called squaring the circle. It addresses the problem of creating a square with the exact same area of a given circle, using only compass and straightedge. In 1882 the task was concluded impossible. Interestingly enough many of the crop formations suggest (near) perfect solutions to the problem, in a very elegant way to add. The circle typically represents the spirit - the divine, metaphysical - whereas the square stands for matter, the physical world, and in many senses: ourselves. When they appear together a reunification of flesh and soul is implied. 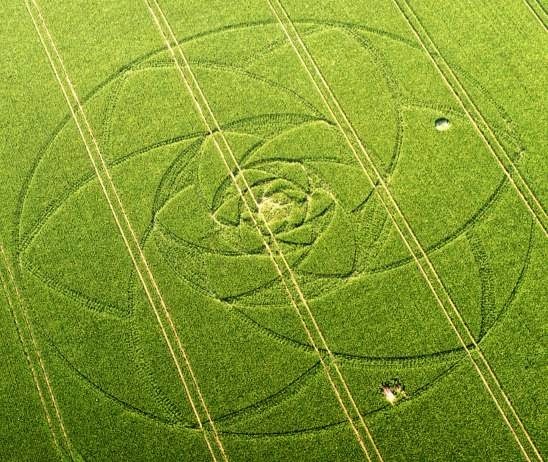 Considering how regularly these forms show up in crop arrangements, it could well be that the responsible intelligence is trying to convey something of great importance to us. I've been researching the fringe for many years now and I've come to notice that mysteries have a tendency to manifest in ways that leave room for doubt. I suspect that the key reason for this is to keep our free will intact. The growth of any entity is dependent on the choices it makes, to leave no room for question would be the equivalent of giving an order; thus dismantling any opportunity for learning. None of us doubt our feelings; they even rule our lives to such a degree that they define us and our phenomenology. Yet they are outside of the realms of the scientific methodology, being neither reproducible nor measurable. Faith, in this case, seems to suffice. Assuming there's a metaphysical component to us, we must remain open to the idea that the next step in our evolution very well could be spiritual in nature. This would mean that we ourselves are in control of our evolutionary progress. Maybe the intelligence behind the formations sees this and is offering those of us who have an urge and a willingness to remember a helping hand - bringing together the circle with the square - in the most tangible sense. What on Earth: A very well made documentary by Suzanne Taylor. Much focus is on the people who are attracted by the phenomenon. 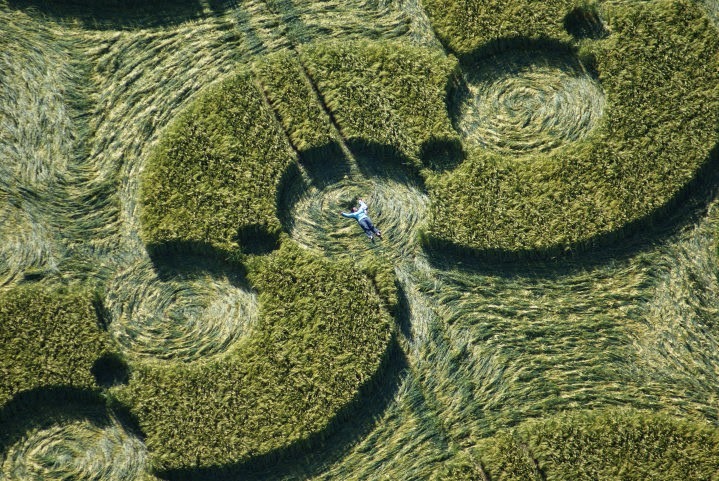 Crop Circles - Hyperspace Gateways: Another great documentary by Terje Toftenes. Definitively worth a watch. **It's intriguing footage, but close up pictures of the formation heavily suggest that it's a roughly executed man made one. When adding that National Geographic made up information about it, one probably should just walk away from this one. How one goes faking it beats me though, and the footage is very impressive indeed, fake or not.